Located in Holywell, Glan Yr Afon Inn is a 5-minute drive from Holywell Golf Club and 5 minutes from St. Winifred's Well. This inn is 7.3 mi (11.7 km) from Theatr Clwyd and 8.8 mi (14.2 km) from Caerwys Golf Club. Make yourself at home in one of the 4 individually decorated guestrooms, featuring DVD players and flat-screen televisions. Complimentary wireless Internet access is available to keep you connected. Private bathrooms with showers feature complimentary toiletries and hair dryers. 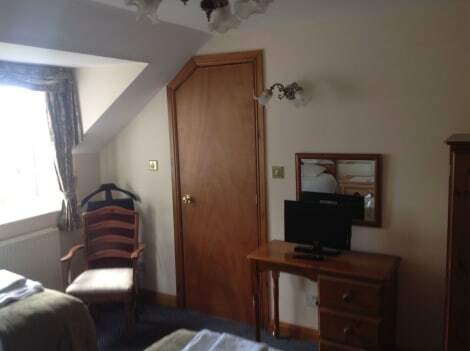 Conveniences include coffee/tea makers, and both irons/ironing boards and cribs/infant beds are available on request. lastminute.com has a fantastic range of hotels in Holywell, with everything from cheap hotels to luxurious five star accommodation available. We like to live up to our last minute name so remember you can book any one of our excellent Holywell hotels up until midnight and stay the same night.